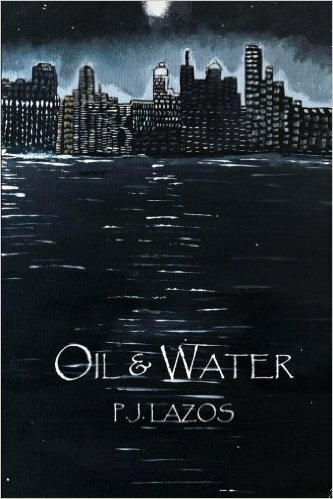 It’s been a while since I ran a giveaway so here is the first one through Amazon to win a Kindle copy of Oil and Water. A second giveaway with Goodreads will be posted once it goes live. Give the gift of reading. Just in time for Christmas! See this #AmazonGiveaway for a chance to win: Oil and Water (Kindle Edition). https://giveaway.amazon.com/p/5aa39e1fd2539235 NO PURCHASE NECESSARY. Ends the earlier of Dec 23, 2016 11:59 PM PST, or when all prizes are claimed. See Official Rules http://amzn.to/GArules. This year I’ve decided to join a bunch of crazy writers who spend the entire month of November writing over 1600 words a day to get a 50,000 word novel out in a 30-day period. I have no illusions that I will actually get 50,000 words in 30-days. After all, I have a full-time job, a hubby, two kids still at home, a dog (who demands two or more walks a day), two cats, yadda, yadda, yadda. The list goes on and it sounds as though I’m already making excuses, but that’s not my style. I generally forego sleep to get my writing in so I will, for sure, write everyday. 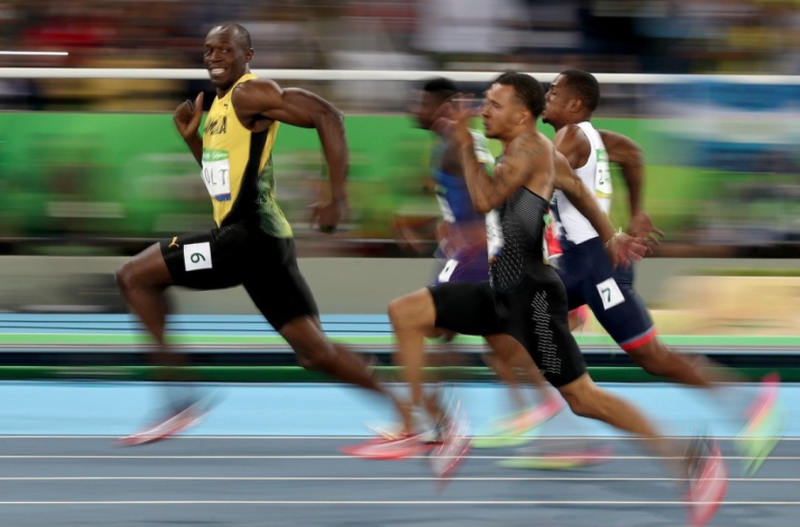 But my goal is a bit more modest: write everyday for a month to jumpstart my novel, The Strain, and at the end of the 30 days see where I am with it. I feel as though the entire story is just sitting on a shelf in the back of my brain, collecting a bit of dust, waiting to be downloaded to my computer. I need to give it the quick escape route and NaNoWriMo seems to be the quickest route available. So cheers to the organizers and away we go. 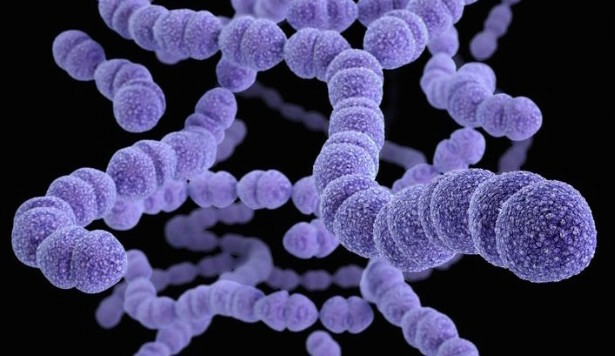 A pharmaceutical sales rep discovers that her company’s reverse-engineered vaccine touted as the gold standard in flu prevention doesn’t work. Of course, it’s going to be a rough first run, a rougher than sandpaper draft, but I’m going to resist the internal editor, prop my discipline up with sandbags by the door, and keep writing for the whole of the month, not stopping to look around and not looking back until December 1 when I’ll pick through the remnants of thought, the fragments of plot, the illusory character analysis, and hopefully come up with a diamond in the rough amidst the cacophony of words and thoughts and deeds. I’ll let you know how it all works out. Or you can follow my progress here. And if you, too, are joining in this writing revelry, let me be the first to say, bon chance. Here comes the sun because I got this really great Kirkus review for Oil and Water. 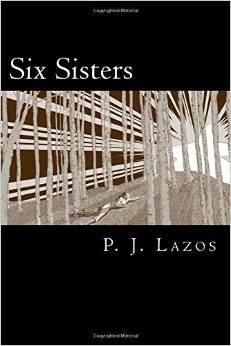 Lazos (Six Sisters, 2015, etc.) mixes childhood genius, corporate corruption, and the paranormal in this science thriller. While the oil business is a fraught enterprise, few expect any danger from that industry to follow them to American soil, much less within their own homes. The Tirabi children—Avery, Kori, Robbie, and Gil—and David “Hart” Hartos know better. Gil has a premonition that allows the kids to escape their home just before it’s burgled and bombed, while their parents are run off the road and killed. But Gil’s unusual gifts don’t end there, as his brilliant mind and connection with his father’s spirit allow him to continue work on the man’s final invention: the Thermo-Depolymerization Unit (TDU), a machine that converts any carbon-based matter into oil. Meanwhile, Hart is reeling from the deaths of his wife and unborn child, and finds no relief in his engineering efforts for Akanabi Oil. Not only is his boss his late wife’s father, but a rash of oil spills only belies the real problem: oil is running out, and a global catastrophe is imminent. When Hart and Gil meet, it’s no wonder they experience a kinship and join forces to complete the TDU and unravel the mysteries of their own personal tragedies and the depths of the world of oil. It’s easy for a science thriller to get too bogged down in theory and explanations to have a real story, or, conversely, to use weak technical details as a backdrop for inferior drama. Thankfully, this surprising novel deftly avoids both pitfalls. The science is compelling, and balances supporting the narrative with providing relevant real-world context, while the tale possesses a depth of emotion rarely seen in this genre. The two sides actually support each other. The realities of a coming oil crisis give both characters and readers something to fear, and touches like the medical and forensic perspective on Hart’s wife’s death manage to be haunting and affecting, not just clinical. Finally, the characters are a genuine delight, all with their own voices and relationships—an especially impressive feat with four children ranging from age 11 to young adulthood. An insightful, emotional, and deeply relevant novel about an oil industry conspiracy. 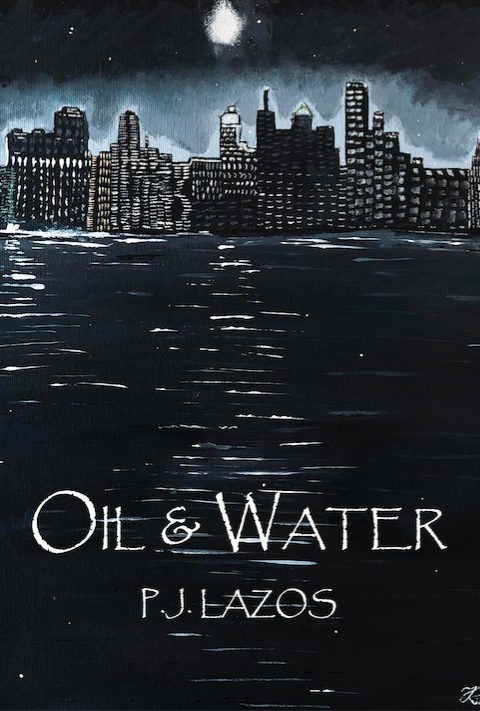 Oil and Water is available on Amazon and Barnes and Noble. Who do you turn to when you need a hand with your novel? Well, readers and writers, of course. Are you a book reviewer? Are you interested in murder mysteries? How about an environmental murder mystery? If you’ve answered yes then perhaps you’d be interested in reading Oil and Water? I will happily gift you a Kindle version of the novel in exchange for an honest review posted to your blog. Sound good? 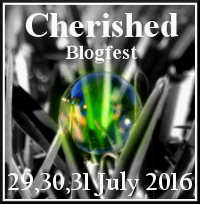 If so, leave a comment on the home page of this blog and I’ll PM you and get your deets! A synopsis follows on the post below so you can see what you’re getting into. Are you a reader? Share the love. I’ve added some book discussion questions at the end in case you are so jazzed when you finish the book that you immediately want to text all the members of your book club. Some day, after Steven Spielberg makes a movie out of Oil and Water, you can say you were there when it all started! Cheers and thanking you in advance. 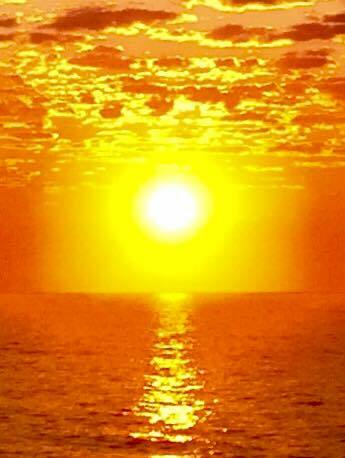 1) Would the creation of a machine that produces oil be a blessing or a curse for the world in which we live? How would such an invention be greeted at this point in time? 2) How would you label Gil’s personality? Do you see him as a genius, a misfit or a combination of both? Please comment on the fine line between genius and insanity. 3) The advent of green technology has been years in the making and while market share continues to grow, fossil fuels are still king. How long do you think the world will continue to rely on fossil fuels as the primary source of energy? What will be needed to promote a change? 4) What do you think of Bicky? Is he a villain, a good man, or simply a typical human being exhibiting the pros and cons that go along with that designation? 5) Who was your favorite character in the book? Why? 6) Assuming its use didn’t put energy extraction companies out of business, how do you think those companies would react to an invention that allows for the spontaneous production of oil from waste? The novel offers possibilities for partnership. Do you see the oil companies acquiescing to such partnerships? Thanking people should be the easiest part of writing a book and yet, it’s not. Why? Well, in this instance, the first draft of Oil and Water was written about thirteen years ago, and in between then and now I edited the manuscript at least four times, beefed it up, cut it down, pasted it back together, started as close to the “inciting event” as I could without losing the integrity of the document, subjected it to scrutiny by various critique groups, let it languish for months, sometimes years at a time while I worked on other things, and then shredded it again before sending it out to publishers and agents where it garnered interest at times and fell into darkness at others. When I got tired of the search for the perfect representative, I decided to become her. Whether I have succeeded magnificently or failed miserably is a subjective matter, but I do know I have tried, sometimes with grace and sometimes with everything but, to bring this most heartfelt work out into the world, and maybe drag some environmental awareness along with it in a fun, non-threatening, non-judgmental manner. Okay, maybe the teeniest bit of judgment, but I am an environmentalist after all and old habits die hard. I loved writing this book. It was my first novel and I finished the first draft in nine months, but like all infants, it needed time to grow and change and discover. Frankly, I think I’ve held onto it longer than I should have the way a mother is conflicted about seeing her children grow up and leave the nest. You want the best for them. You want to see them succeed, but it’s a scary world and there are so many potential pitfalls. Whatever. I’m setting it free so I can begin my next project. Closure only works in your favor when you actually finish something. So thank you, friend, whether we have yet to meet or have known each other for lifetimes, for all the love, support and good intentions. I send my own back to you for success in all your most heartfelt endeavors. In this way, we lift each other up. When inventor Martin Tirabi builds a machine that converts trash into oil it sends shockwaves through the corporate halls of the oil cognoscenti. Weeks later, Marty and his wife, Ruth are killed in a mysterious car accident. Their son, Gil, a 10-year old physics prodigy is the only one capable of finishing the machine that could solve the world’s energy problems. Plagued with epilepsy from birth, Gil is also psychic, and through dreams and the occasional missive from his dead father he gets the push he needs to finish the job. Meanwhile, Bicky Coleman, head of Akanabi Oil is doing his best to smear the planet in it. From a slow leak in the Gulf of Mexico to the most devastating oil spill the Delaware River has ever seen, Akanabi’s corporate practices are leaving oily imprints in their wake. To divert the tide of bad press, Bicky dispatches his son-in-law and Chief Engineer, David Hartos to clean up his mess. A disillusioned Hart, reeling from the recent death of his wife and unborn child, travels to Philadelphia to fulfill his father-in-law’s wishes. So, I’m in the process of getting the last details in place before sending my novel, Oil and Water off to Create Space for publication. It’s been a long dry season, thirteen of them actually, since I started this novel all those years ago, and I am finally bringing it to print. That story is its own, and there is all the time in the world to tell it since the book isn’t even out yet, but I’m so excited about it finally coming to fruition, that I needed to let off a bit of emotional steam by posting the cover which is in itself a story. The original photograph was taken by my friend and colleague, Andrew Goldman, an environmental lawyer and amazing photographer. The rendering in acrylic was done by Janice Kim, a high school classmate of my daughter, Arianna’s. Arianna just happened to show me a text of one of Janice’s paintings one day — paintings she apparently tosses off like some people toss off stick figure drawings (did I mention that she’s oh so talented and only 15!). The painting had the exact look I was going for with my the cover so badda bing badda boom, I had Arianna ask Janice if she was interested in converting Andy’s photograph to a painting and the result is above. But that wasn’t all. We still had to get the painting back to digital so Andy took a picture of the painting, photoshopped in the title and author byline, did all the measurements, adjusting for the bleeds for printing and what not — and there was a lot of what not in trial and error since neither one of us had ever done a book cover before — and only then was the cover ready. I have a much greater respect for book covers than I did before.